What a great way to teach your kids about how important it is to help others. Maybe you could do this in your office. Maybe you could do it at school. I think its a great family activity and a great lessons for youngsters! 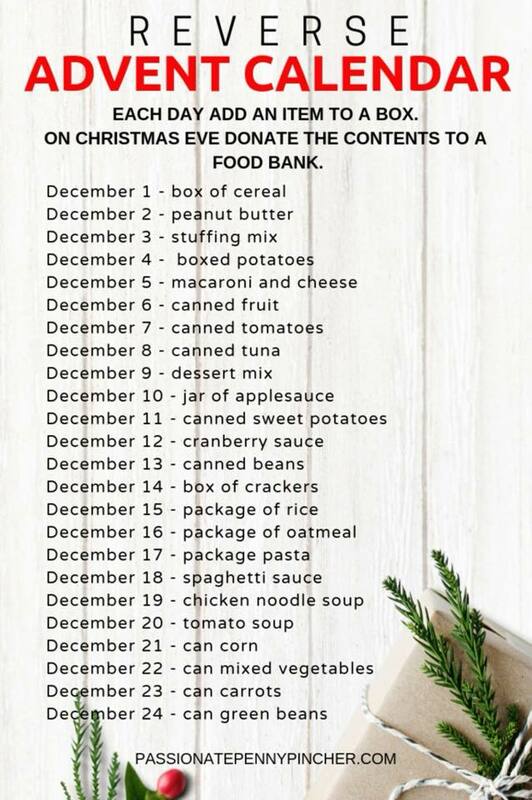 Each day, put a different food item in a box and then donate the entire box to a local food band on Christmas Eve.